On 23rd April 1536, St George’s Day, the annual chapter meeting of the Order of the Garter took place at Greenwich. 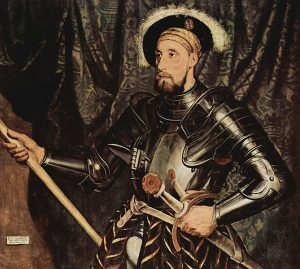 Queen Anne Boleyn had put forward her brother, George Boleyn, Lord Rochford, to be elected Knight of the Garter, but Sir Nicholas Carew was elected instead. Carew was said to be mentoring Jane Seymour to appeal to the King and was no friend of the Boleyns. Was this a warning sign? 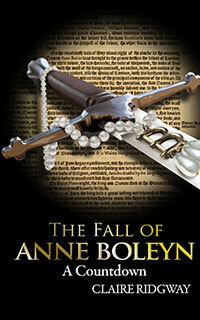 Was Anne Boleyn losing her influence? No, Henry and Jane were not married the day after Anne’s execution. They married at the Palace of Whitehall, Whitehall, London, on 30 May 1536–eleven days later. I think Baroness is referring to their betrothal which did take place on the 20th May, the day after Anne’s execution. I agree, Carew was no part of the Boleyn faction, so Anne must of realised something was up. Anne had known of Jane and Henry’s affair too, so it must have been confirmed as far more serious that day when Carew was made Knight of the Garter and not her brother George. It must have annoyed Anne but we do know that Henry VIII had promised Francis I that Carew would be elected the next time a vacancy arose.